Despite its beauty and fun times, Courtland Beach wasn’t a successful amusement park. Luckily for Omaha’s early 20th century residents, people saw the value and stepped up to help it stay alive. The Omaha Rod and Gun Club was founded in 1905 to support hunting and fishing at Carter Lake, and they used Courtland Beach to accomplish their mission. Sitting at the oxbow lake alternately called Cut-Off Lake, Courtland Lake, Lake Nikomas, Lake Nikoma and eventually, Carter Lake, the Omaha Rod and Gun Club actually lasted shorter than either its predecessor or successor, but it’s reputation has lasted longer. Discover why here. When they were formed, the newspaper said the club “is surely destined to do great things.” They marched onward! Count John Creighton had already saved Courtland Beach. In the 1890s, the amusement park and resort wasn’t making enough money and faced closure. Creighton stepped up and bought the property, running it in the red for more than a decade. Founded in 1905, there were 175 charter members of the club, with a target goal of 600. Dr. Despecher was credited as the founder, along with a dozen other people. Located across the lake from the booming Bungalow City, the Rod and Gun Club had the advantage of a streetcar line, existing facilities including all of Courtland Beach’s property, and much more going for them. The club was so successful that in just its second year, the membership fee was raised from $1 to $5 to keep the member rolls lower. Immediately, the club spent more than $2,000 building a new clubhouse immediately west of the pavilion. They had their own wharf, boathouse and boats, all exclusively for use by club members. Starting in 1906, the Omaha Rod and Gun Club made bids to buy the Cortland Beach pavilion and other facilities. It was known that Creighton wanted to sell, but apparently, hemming and hawing led to the amusement park shutting down in 1906, and nobody running the park that year. By the end of that year, it was reported that the club was “regarded as one of the widest awake clubs in the west,” and that membership was up to 457. The Omaha Rod and Gun Club clubhouse was at Cortland Beach within a year. That year there were 25 large canvas wall tents pitched, large enough for families with large children. The Carter Lake Yacht Club was formed in 1907 as “a subsidiary to the Omaha Rod and Gun Club and has a membership of more than thirty.” A rivalry between the Carter Lake Yacht Club and the Council Bluffs Rowing Association was declared, and the two clubs battled for that summer. In 1908, a small yacht called The Viking from the Yacht Club won a citywide boat race, winning against three other yachts from Lake Manawa. After the Courtland Beach Company went out of business in 1909, the Rod and Gun Club bought Cortland Beach, including all the facilities and operations. Bungalow City, a neighboring development packed with as many homes as the Rod and Gun Club, was ordered by the City of Omaha to moved in winter 1909. Expanding their Levi Carter Park, these bungalows were built on property to be used by the City. Waiting until winter, more than 25 houses were moved across Carter Lake on the ice and skidded over to the Omaha Rod and Gun Club. There was a lot of celebration when the the Rod and Gun Club opened in 1911. The club held baseball games between their own team and the YMCA, church teams, fraternal organizations and others. Boating, trap shooting, vaudeville shows, tennis and dancing were all rewarded with prizes and more. At the opening of the season in May, there was a flower parade in boats and canoes on the lake. Canoes, rowboats, sailboats and motorboats were raced on the lake that season, too. A huge gala was held to open the season, and picnic parties, dinner parties and socials were held throughout the summer. In 1907, the club reported having more than 700 members. They raised membership fees to $19, with $6 annual fees for everyone. In 1908, the Rod and Gun Club reported it was deep in debt, but it kept rolling onward. Late in the year, the Omaha Rod and Gun Realty Company was incorporated. They sold lots at the club. The club apparently grew. With about 25 canoes on the lake in 1908, a group organized another axillary at the Rod and Gun Club called “Canoeiros,” asserting that it meant “canoe men” in Portuguese. The newspaper reported that the Canoeiros’ goals included promoting the sport, starting races and social stunts, and to encourage others to build or buy canoes and use them at the lake. Launching a winter dance series at their pavilion, in 1909 the Omaha Road and Gun Club grew again by partying all winter long. During this era, the Rod and Gun Club also hosted fly fishing, trap shooting and other contests, too. In 1912, the Cortland Beach amusement park was under management of the Omaha Rod and Gun Club, and was looking for people to operate its different activities. The operator, a man named J.W. Munchhoff, advertised that it was the only amusement park operating in the Omaha area. He reported that with over 203,000 residents to advertise to, the .5¢ would make new operators “big money.” Munchhoff advertised that the park already had four bowling alleys, a mammoth roller skating rink, boating, a rolling ball game, and sold popcorn and peanuts, etc. He wanted an operator for the merry-go-round and ferris wheel, as well as outdoor acts and musical attractions. Canoeists from the club paddled the 200-mile journey from Omaha to St. Louis on the Missouri River in 1912, beating a record by taking only 4-days. Later that same year, an industry newspaper reported that Munchhoff succeeded. The park added an outdoor vaudeville theater and installed 1,000 seats for three daily performances. A ride called a Carry-Us-All as well as a new Ferris Wheel were installed, too, along with a seawall along the beach. All of the flooding from previous years were eating away at the beaches, and the seawall was going to stop all of that. For years, Cortland Beach was constantly busy, and the lake was the place to be. Unfortunately, this wasn’t meant to last. Plagued by uncertainty over statehood, Nebraska and Iowa arguing over the ownership of the village of Carter Lake for more than 50 years. At the same time, Carter Lake kept flooding and neighboring areas just became more foul over time. Florence Lake, which fed into Carter Lake, was disappeared by the US Army Corps of Engineers; the North Omaha Bottoms were fought over then mostly ignored. The town of East Omaha was eclipsed by its namesake, and the intersection of 16th and Locust waxed and waned. By 1912, the Omaha Rod and Gun Club was finished. Before it was done though, at least a half-dozen postcards were printed featuring scenes from the club. These postcards have ensured the reputation of the club has lasted far longer than its predecessor, the Courtland Beach Amusement Park, and its successor organization, the Carter Lake Club. In January 1913, there were fewer than 500 associate members of the former club called to a meeting. Unfortunately, there was open fighting and accusations of an insurgency among this group, and the club stayed closed. Soon after, 200 former members of the old Omaha Rod and Gun Club incorporated a new organization called the Carter Lake Club, and it lasted much longer than its predecessors. Today, there’s no sign left of the Omaha Rod and Gun Club, or its predecessor or its successor! No history markers or tours highlight the story, either. 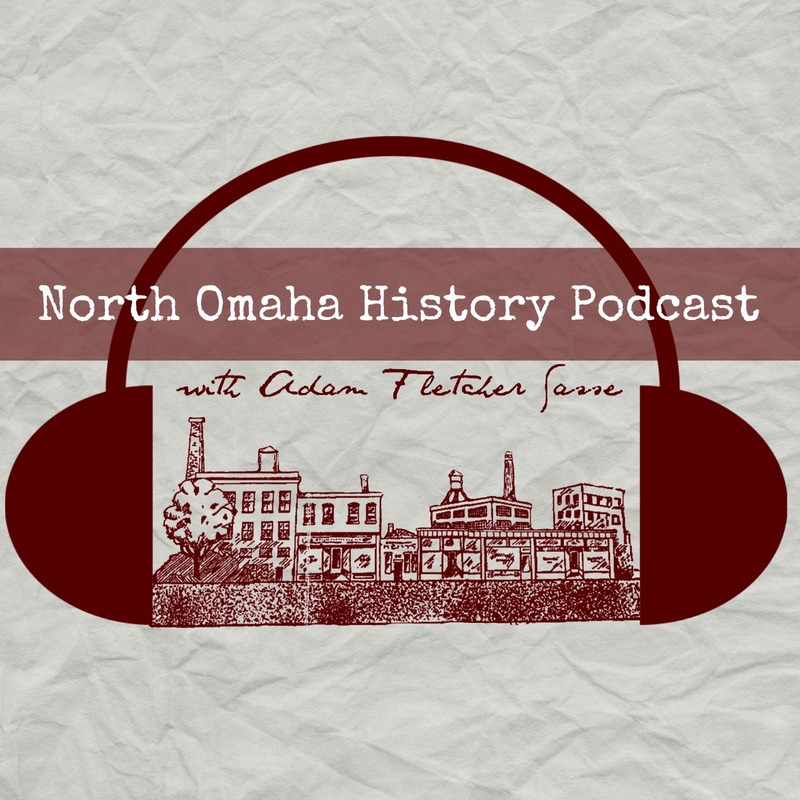 Do you have memories, stories or memorabilia related to the Omaha Rod and Gun Club? Leave a comment below! 1906—The Omaha Rod and Gun Club starts operating Courtland Beach. They added facilities and ran it as a successful members-only amusement park.